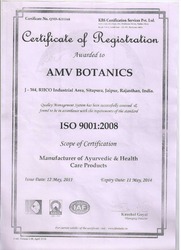 A.M.V Botanics, Established in Jaipur, Rajasthan in the year 2007. We are the exporter and manufacturer of Personal Products, Herbal Drinks, Herbal Syrups, Herbal Juice, C-Care Syrups For Females, Naturodent Tooth Powder, Trifla Juice, Amla Products, Karela Juice, Noni Juice, Aloe Vera Whole Leaf Juice And Other Herbal And Ayurvadic Products. 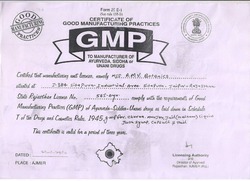 Our products are WHO GMP, GMP, US FDA Organic and GLP certified. We concern about the need and requirement of the client and provide them customized products also according to their demands. Our expert and experienced team help us in the formation of best quality products. Our professionals are associated with the health care industry. Mr. Vinod Kumar Deshwal is the CEO of A.M.V Botanics, under his guidelines our organization reach to the success and make a recognized position in the competitive market. His supportive and hard working nature motivates our team to achieve the organizational goal. The wide popularity of our organization has been possible by the efforts made by our team and our mentors. We have the experience professionals from herbal industry. Their expertise in herbal industry is evident from the organized manner in which they carry out the production process in the organization. 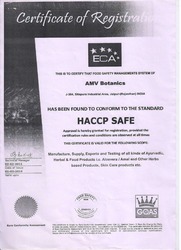 Our professionals strive to develop new natural products that would prove to be beneficial to the customers. Our team includes such member research scientists, packaging team, quality controller and sales and marketing executive. Our organization has a state-of-the-art infrastructure unit that is equipped with technological machines and other resources. With the help of these machines the process of production unit has enhanced. Our infrastructural facility helps us to export the bulk amount of personal care products, herbal products in timely manner. 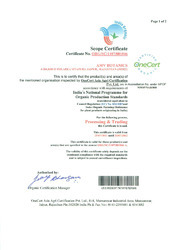 We export our product in Asian countries, India Subcontinent & Australia. 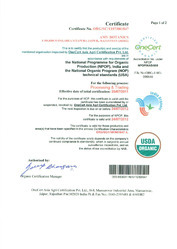 “To be the best source for providing business solutions on one to one basis in this faster growing market.” WHO GMP, GMP, US FDA and GLP certified. We have the experience and well qualified professional team. We have appointed professionals who are associated with the health care industries and have the wide knowledge of herbal products. Our professionals strive to develop the new product which is beneficial for the users and also carry out the production process in a well organized manner.